The Inn at West Settlement offers a host of unique elements to make your Catskill Mountain barn wedding a truly special occasion. When visitors arrive at the inn, it’s immediately apparent that this is an exceptional place. The inn is ideally situated “off the beaten path” and magnificent views of the Catskill Mountains stretch endlessly, enveloping guests with a feeling of true serenity. When choosing to have your wedding at the Inn at West Settlement, you are selecting a venue where the staff goes above and beyond and the amenities are second to none. Our barn is much more than a remnant from the region’s robust agricultural heyday. The barn has been carefully updated to retain its innate charm, while creating a space we like to call “elegantly rustic.” Even the furniture — including the fabulous bar and tables — is all handcrafted locally and contributes to the warm atmosphere. For their wedding day, couples can choose to have their ceremony on the inn’s front lawn or amidst a neatly manicured field with rolling Catskill Mountains views as a dramatic backdrop. When it’s time for the celebration to begin, cocktails are served from an outdoor bar in a courtyard adjacent to the barn. String lights cast a warming glow to enhance the festivities. Afterwards, guests adjourn to the barn where meals have been expertly prepared with exacting attention to pleasing the eye and the palette. 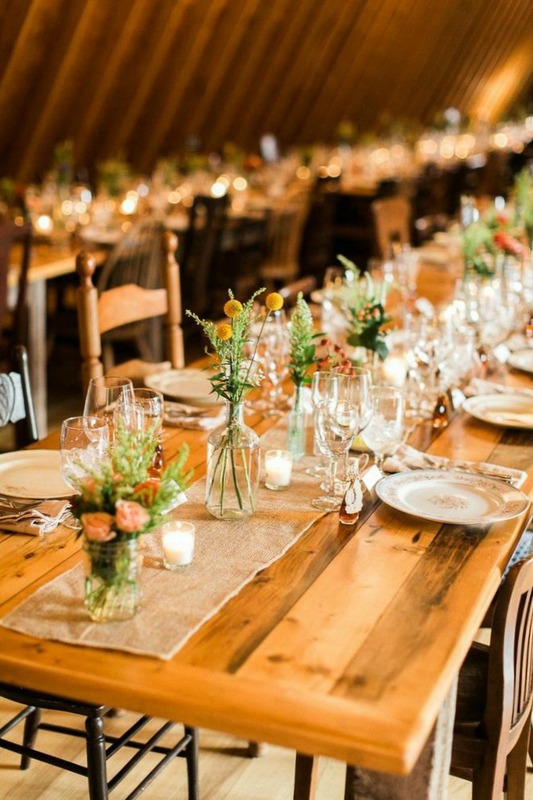 The spacious barn can easily accommodate up to 185 wedding guests and we have added a heating system, making it possible to host special events spring through fall. 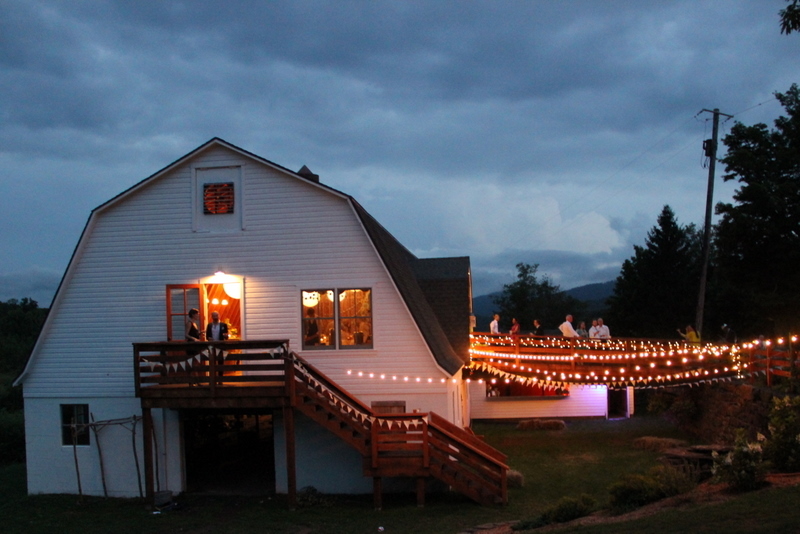 Our barn is just one element of your wedding at the Inn at West Settlement. The historic farmhouse, just a stone’s throw from the barn, will become home to you and your loved ones as we create a memorable weekend-long experience. Many couples choose to start their celebration with a welcome dinner that includes a cocktail reception and our fabulous taco buffet — with many of the ingredients fresh off the vine of our nearby organic vegetable garden. Guests are welcome to stroll freely on the 17-acre property and are sure to enjoy the cutting gardens that dot the property. During your reception, your guests will be welcomed with food as captivating to the eye as tantalizing to the most scrutinizing palette. 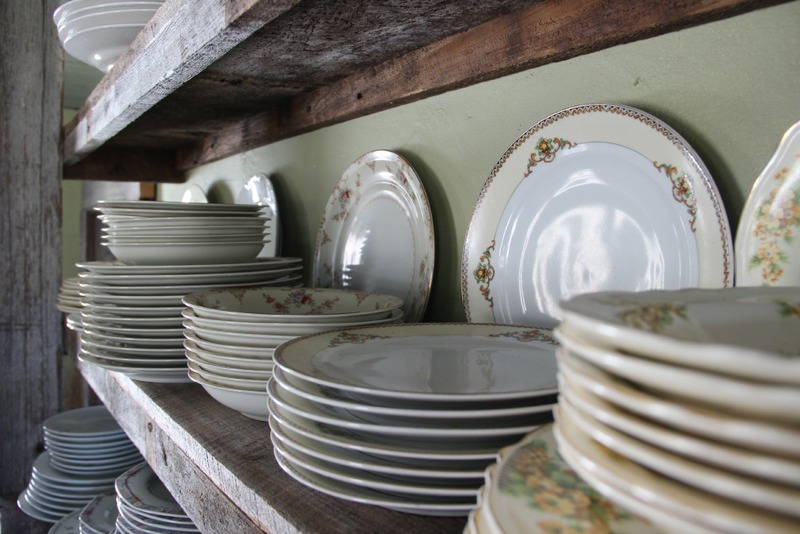 Our caterers work closely with local purveyors to create the perfect meal of your choosing. ... after your ceremony on the front lawn of the antique farmhouse or the field with forever Catskill Mountain views cocktails are served at an outdoor bar in a courtyard by the barn with string lights overhead and dinner is served in the barn with it's soaring ceilings. Feel free to take pictures in every nook and cranny of our 17-acre estate. Make the inn yours for the weekend. There is a charge of $50 per person over 150 attending the wedding and reception. * Price includes restrooms in barn, 2 bars in barn, handmade family style dining tables made from reclaimed wood from a silo that stood on the farm, assorted vintage wooden chairs, vintage china, a room full of props, benches for your ceremony and use of grounds including our organic cutting gardens. For your ceremony you can choose a spot out by the pond in the open meadow or on the bluestone front steps of the Inn. For your reception you can set a tent in the yard or use our fabulous 40'x100' barn with its soaring ceilings, perfect for bands and dancing. You may choose from our three preferred caterers who will prepare whatever type of menu you desire. Our caterers make every effort to supporting our local farmers — whenever possible purchasing meats and vegetables that have produced in the Catskill Region. Your event is hosted in complete privacy. When it’s time for music and dancing, your party can continue uninterrupted, with no curfew. Our property consists of 17 acres, allowing us to provide ample on-site parking to accommodate all your guests. Need something special? Let us help make your event unique.